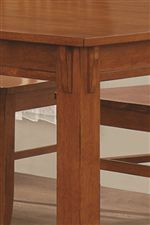 This dining table has a traditional mission style. 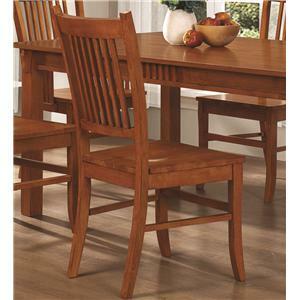 A smooth rectangular table top has smooth straight edges, with a slat detail on the apron for a touch of distinction. 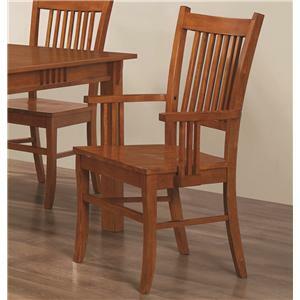 Simple square legs complete the look. 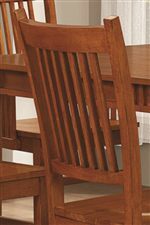 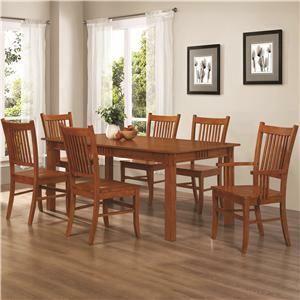 Pair with the matching chairs for an inviting mission style dining ensemble. 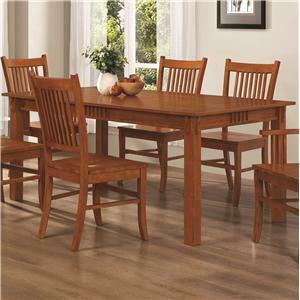 The Marbrisa Rectangular Leg Dining Table by Coaster is available in the area from BigFurnitureWebsite.